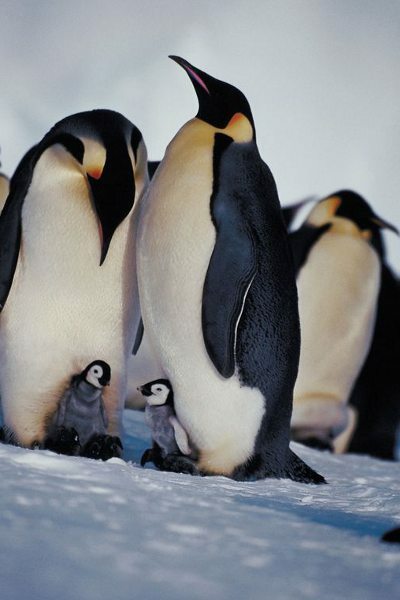 Penguins live in very large colonies, so they do have selection of mating with ease. There are only a few species that live in very small groups. The social interaction among members of the colony plays a huge role in selecting a mate. Depending on the species, they are ready for mating between 3 and 8 years of age. Mates are able to quickly identify the sounds of their partner. That is very important when you consider how loud it can be in some of the colonies. The time of the year for mating to occur varies depending on species and location. The majority of the species though breed in the spring and summer months. In order to help them get a mate, penguins take part in various displays. They may be trumpeting and swinging their head around to show that they are interested in finding a mate. This is usually done by males and they will attract females with such activities. They also display to keep other males out of that area so they can’t compete for the same female. The ultimate selection of a mate though is up to the female. Once a pair has identified each other, they will take part in mutual displays. They will mimic each other as a way to strengthen the bond between them. They will also take part in bowing so that they can recognize each other as a partner. Dipping the head with the bill towards the feet of the mate is very common. Penguins are quite selective when it comes to their mate. They will only have one mate per breeding season. In many species, they will mate each year with the same one. After successfully mating, the female will lay one or two eggs. 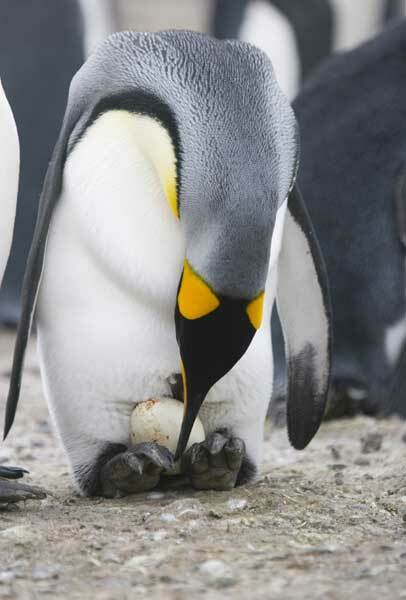 The male helps her to create a nest and he will take part in helping to incubate the eggs and keep the protected. The nest will be created on land and in a location where they can keep the eggs safe from predators. They are very creative with supplies they have on hand to create the nests. This can include pebbles, vegetation, holes in the ground, and rocks. The pair will take turns feeding and watching the eggs until they hatch. The period of time for this depends on the species of the penguin. It ranges from 30 days to 64 days. The hatching of the young takes place in a short window of time. It can be a day or two different when there are two eggs. Most of the time, the younger chick won’t survive due to being smaller and not enough food to go around. The young chicks won’t go in the water until they are fully fledged. This can range from 10 to 52 weeks depending on the species. During that period of time, the parents have to bring food back to them. In some species, the young will be fed for several months and store up fat. Then they fast for the remaining months living on that fat until they get their adult feathers and can find food on their own. Caring for the young involves much more than just bringing them food though. The parents take on the role of teaching them a variety of skills and protecting them from dangers. The young are able to identify the sounds of their parents almost immediately. This prevents them from getting lost in the colony. The young have a need for social interaction from a young age. This includes verbal communication and touching. Without such elements in place, they won’t survive. The loss of young can be very upsetting to the females. They may try to steal young from another pair if they get the chance. However, they are often unable to do that successfully. Should a chick become orphaned, it is common for another female or pair to care for it. In some species, older females that no longer mate will also aid in keeping a watchful eye over the young chicks. In the wild, the average lifespan for penguins is from 15 to 20 years. There is a very high mortality rate among the young though. Less than half of them will reach the age of maturity. A lack of food, predators, human interference, and the death of one or both parents often account for this mortality rate. Some of the conservation efforts in place focus on aiding the young to survive. For example, helping some of the young to emerge from the eggs if they are struggling to do so on their own. In some locations, when there are two young and one will surely die due to size and food shortage, the second is taken. This allows them to survive in captivity when they otherwise would have died in the wild.